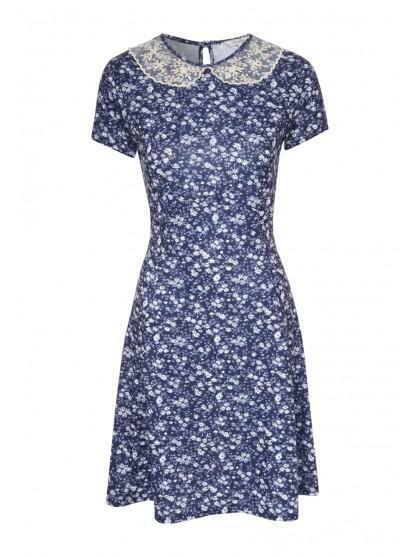 Get a sweetheart look in the adorbale tea dress with peter pan collar. Featuing an ll over floral print, lace detail collar and skater style skirt. 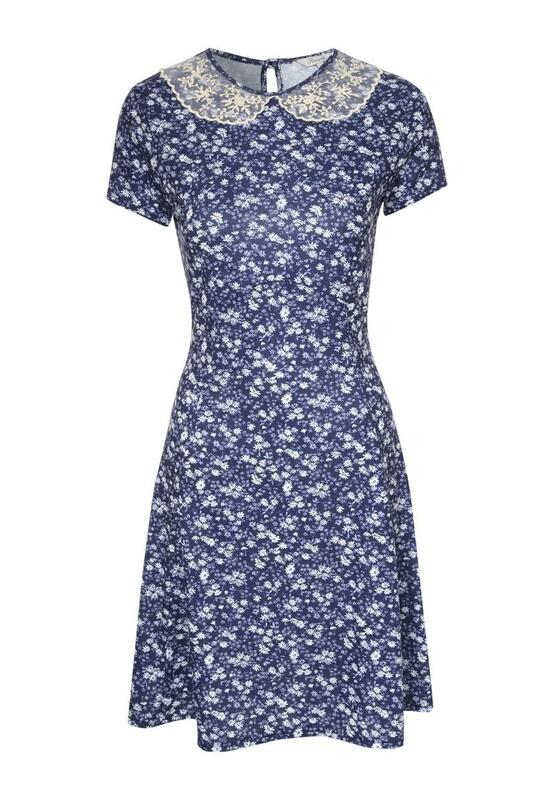 The perfect pretty dress for a summer day. Team with pastel accessories for a complete outfit.